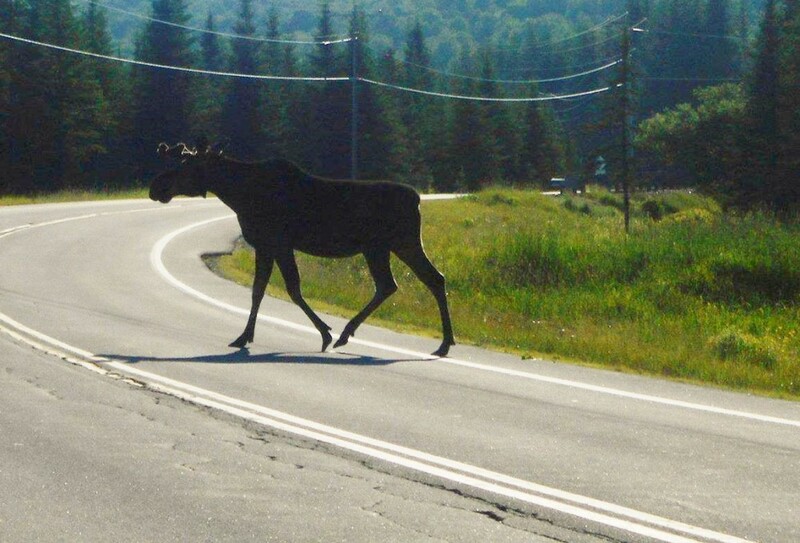 The Mostly Moose cycling route is a 67 mile loop that starts in and returns to Canaan. Moose. And trees. Not much else including’ traffic, ‘cept scen’ry. The folks who designed this tour saw four moose without hardly looking when scouting this loop. This route is fairly level when riding north and south. Bumps and hills east and west. Energetic beginners, make a two-day trip out of this one. Others can do it in a day, given enough time and daylight. Paved roads run the gamut from sometimes rough to delightfully smooth. A large section has recently been paved. You will pass through villages, by scenic lakes, and lots of forests, farms and meadows! Directions: Departing from Canaan take Rt 102 South to Bloomfield, then Rt 105 West to Island Pond. From Island Pond ride north on Rte 114 through Norton back to Canaan.